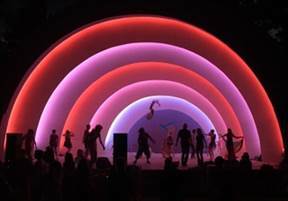 Start your week off right; Get Ready to Dance and meet new friends at Bandshell Boogie - a summer-long weekly DJ’d dance gathering held outdoors each summer at the Boulder Bandshell located in Central Park in downtown Boulder. The weekly Monday events are casual, all ages-friendly, and the dance floor is always a rockin’ good time. Each of the evening dances are mixed by popular local DJs who craft transformational journeys with encompassing electronic music from many genres including ecstatic, disco, funk, soul, club and pop. Whether you stay for 20 minutes or for the whole time, feel free to dance, meet new friends or simply sit back and absorb all the positive energy.